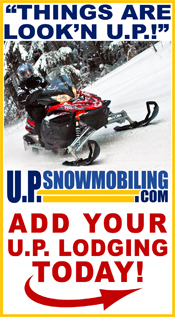 By purchasing a link for your lodging with UP Snowmobilng you get a listing with your businesses name, address, phone number, and link to your website. Your listing and link will be placed under the appropriate county and city pertaining to your lodging. After purchase click the return to website link and it will take you to an online form to fill out your link information to be added to Superior Sights.